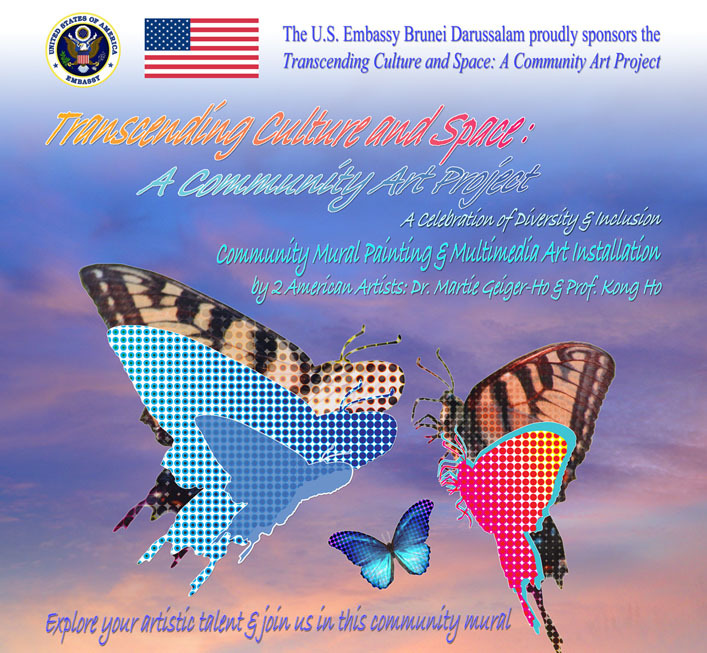 Transcending Culture and Space: A Community Art Project is sponsored by the U.S. Department of State through the Overseas Federal Assistance Award and the U.S. Embassy Brunei Darussalam. Co-sponsors for this pilot scheme community art project include Universiti Brunei Darussalam, Pusat Belia Bandar Seri Begawan (Youth Centre) and Jerudong International School. This art project is a practice-based research in community art in Brunei. This community art project showcases the diverse and inclusive art that is shared between the cultures of the United States of America and Brunei Darussalam. 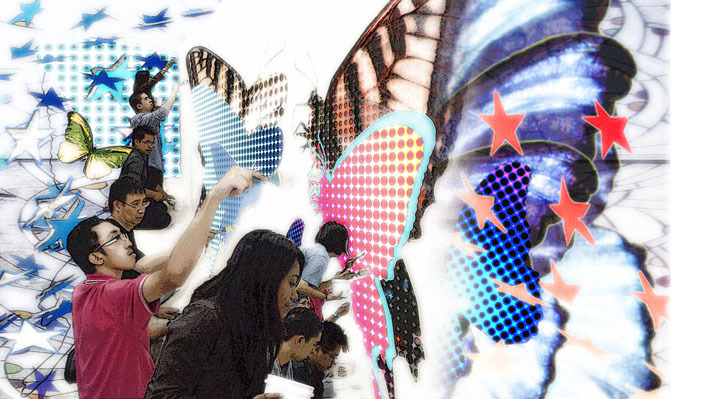 The thirty-foot long by six-foot high transportable mural will eventually be created by Bruneian youths, international school and UBD students, US Embassy staff, the general public and guests through a series of workshops. 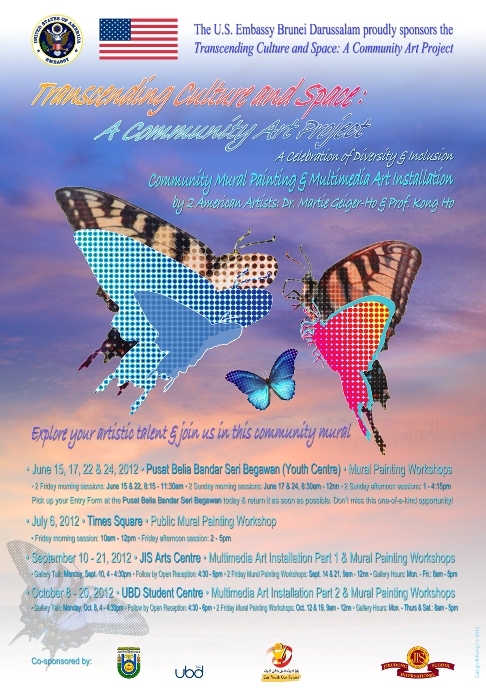 Activities include mural painting workshops, a launching ceremony, a traveling multimedia art installation and public gallery talks. Together, these events are estimated to reach 2000 people. Venues include a local youth centre, the US Embassy, a well-visited mall, UBD art studio, JIS Art Gallery, UBD Student Centre and the U.S. Embassy's official 4th of July event at the Empire Hotel. The complete mural will become a permanent piece that will grace the Student Centre of UBD. This community art project encompasses community art and social inclusion in Brunei in all its forms, including the participation of diverse age groups, socio-economic strata and people with various abilities. By being inclusive, the project supports the objective of building a strong and vibrant community art as part of Bruneian society.